As the cooler days of autumn beckon, there’s late summer glory in our cottage garden, despite the dry conditions. 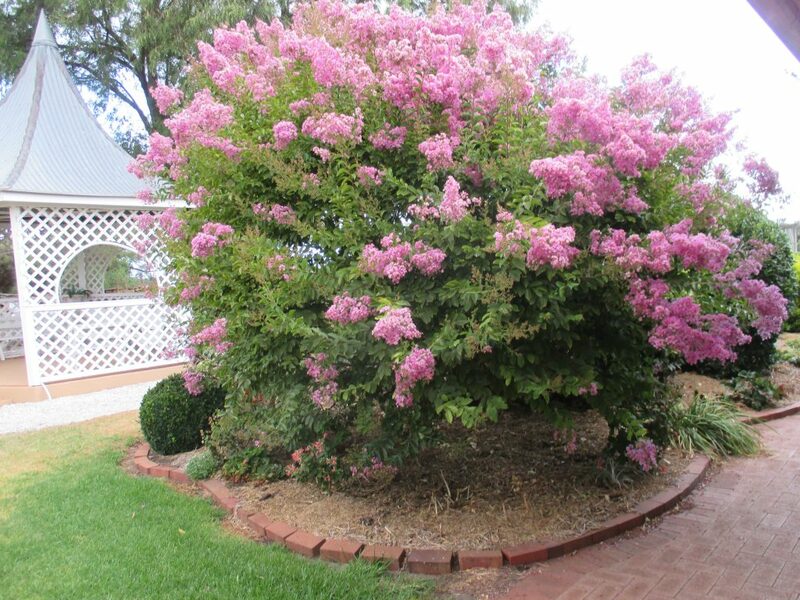 Just outside our door, there’s the breath-taking Crepe Myrtle – Lagerstroemia- “Lipan” – ours is a brilliant mauve-pink (though I’ve noticed other colours thriving in Port Lincoln gardens). It’s a wonderful small tree for dry gardens, once established. It flowers for many weeks, from summer into mid-autumn. And there’s more. During its winter dormancy, it has beautiful white mottled exfoliating bark – an added attraction. 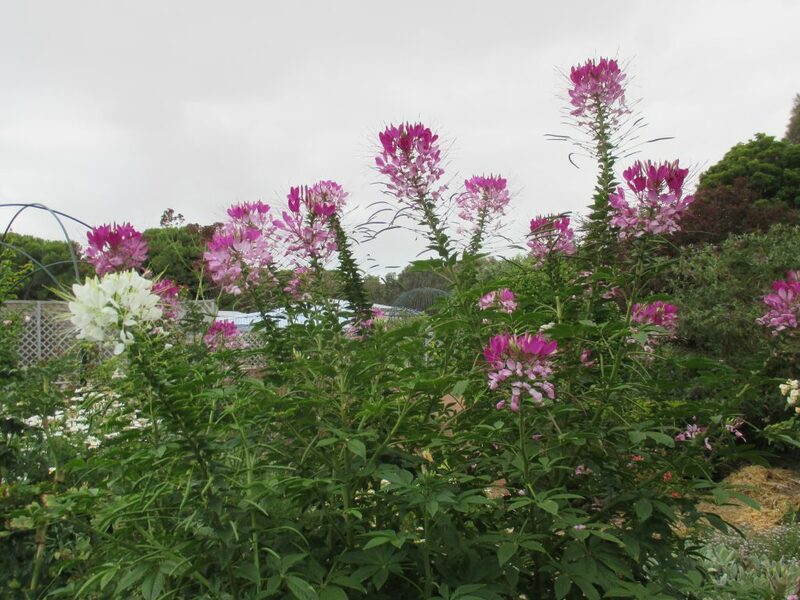 And standing tall, adjacent to the Crepe Myrle, there’s the majestic Cleome – Cleome Hassleriana – commonly known as the “Spider Flower” – well named because it’s very prickly. An old-fashioned, very tall and long-flowering annual, it has unusual spider-shaped large flower heads in pink (there’s also white or mauve). The stunning Cleome was a great favourite of my mother’s at her Port Lincoln home, where her garden had a street frontage onto Gloucester Terrace. Indeed, the Cleome gave her a unique advantage in forming gardening friendships, because its spectacular form attracted passers-by. People even came to her front door, to enquire whether she could save some Cleome seeds for them when the flowering ended. I keep a look-out in my garden in December, because self-sown seedlings of Cleome can be found. Then, I transplant them to the cottage areas where they can be fully enjoyed as the abundance of summer continues.